In this week’s episode of the After On podcast, I interview Tim O’Reilly – one of the most original and influential thinkers in tech. His new book, WTF, debuts today. And it doesn’t stand for what you think. We talk about that book, and about the future (that’s the ‘F’ in the acronym). And also about the past. Tim’s past -- which will fascinate anyone interested in the history of the commercial Web, open source software, the maker movement, the Web 2.0 era, or anything else Tim helped to shape, launch, or name (yes really - he deserves at least some co-founder credit for all of those things). It’s a been a long, strange trip for someone who spent his college years studying Latin and Greek. Tim was drawn to those subjects because as a teen, he fell under the spell of George Simon - a brainy mentor who argued that the last great evolution in human consciousness dated to the classical period. Tim wanted to understand that period – and that transformation – because George convinced him that the next one would happen in his lifetime. This would be the emergence of a global consciousness. George died suddenly, tragically, and young in a car wreck shortly after starting to teach at the Esalen Institute. Interest in his emerging philosophy was so high that Esalen recruited Tim as an instructor when he was still in his teens. Not craving a life of spiritual teaching, Tim then pivoted to technology shortly after graduating Harvard in the late 70s. Tim got into tech as a writer. He had already written his first book (a biography of science fiction great Frank Herbert, which you now can access for free), when a programmer friend asked for help with a tech writing gig. They jointly wrote a manual for a client. Then another, then another – and decades on, the successor to that first business employs 400 people as O’Reilly Media. Tim is, without question, technology’s preeminent publisher, having released thousands of books that teach programming languages and countless tech skills. He also launched the world’s first commercial website (Global Network Navigator), and was a key influencer in all the industry sea changes listed above. Intriguing as Tim’s history is, the real fun comes from engaging in his thinking. He’s done a lot of this over decades of watching the junction between tech and society with the scholarly gaze of a classicist. We discuss platforms and ecosystems, the future of the great tech monoliths, and the fusing of human workers and software that’s already occurring within them. Some of Tim’s ideas are familiar and mainstream - in large part due to the years he spent evangelizing them to tech elites and the press. Others are delightfully contrarian and challenging. 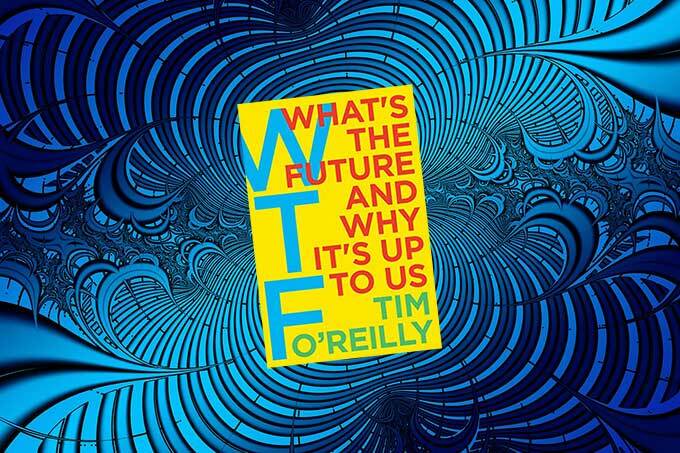 If you enjoy this interview, I do recommend Tim’s new book, WTF, which - again - premieres today. Note - the audio quality of this episode is below my normal standards, but I’m happy to report that my editor and I were able to rescue it from true catastrophe (thank you, Jason). The reasons for this (as well as my statements of earnest contrition) are contained in the first few minutes of the episode.